Hamath was the northernmost city in the mountainous region of the Levant, in the border territory between that and ancient Syria, and was the fortress that protected the rest of the Levant from northern invaders. Located on the River Orontes, it still exists as the city of Hama in modern western Syria, to the north of Damascus. The ancient city was probably one of many which arose in the region at the start of the second millennium BC. It very quickly became heavily influenced by Hittite culture, and remained under their influence for the first 800 years or so of its existence. During the dark age from 1200 BC it was settled by Aramaeans who founded a state. The first two rulers were apparently allied to King David of Israel, and the two kingdoms maintained friendly relations for hundreds of years afterwards. The city becomes heavily influenced by the Hittites. Following the political collapse of this period which sees the end of the Hittites, the region is heavily settled by Aramaeans, and Hamath is no exception. Initially the southernmost of the neo-Hittite states, the city becomes the centre of a small Aramaean kingdom. At first it may also control the newly created city of Bit Adini. One of the city's allies in this period is Israel under King David, and this friendship remains in place for centuries. Bit Adini may achieve independence at this time, if indeed it had at all previously been controlled by Hamath. The political situation of the land of Lukhuti, on Hamath's northern border, is not clear. By the reign of Shalmaneser III (859-824 BC) it probably forms the northern province of Hamath, and perhaps does so as early as 870 BC, before which it is in the possession of Pattin. Irhuleni is a member of an alliance of states which also includes Ammon, Arvad, Byblos, Damas, Edom, Egypt, Kedar, and Samaria. Together they fight Shalmaneser III of Assyria at the Battle of Qarqar which consists of the largest known number of combatants in a single battle to date, and is the first historical mention of the Arabs from the southern deserts. Despite claims to the contrary, the Assyrians are defeated, since they do not press on to their nearest target, Hamath, and do not resume their attacks on Hamath and Damas for about six years. The city is conquered by Assyria and local governors or vassal kings are placed in control of the state. 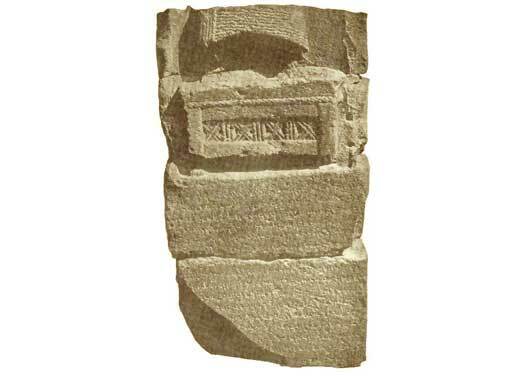 Uratamis is only attested by inscriptions on five stones which form part of a fortress in Hamath, perhaps the citadel itself. Ben-Hadad III of Damas leads a coalition of states against Zakir, and Luash to the north of Damas, but is defeated by the latter. Became an Assyrian vassal king, or 'governor'. The region faces a rebellion of some magnitude. Hamath, nearby Sam'al, and many others, are attacked by Yadiya under Azriyau of Yaudi, possibly with support from Urartu. Azriyau's coalition is defeated by Tiglath-Pileser III. In 738 BC, Hamath becomes a confirmed vassal of Assyria at the same time as the territories to the north, Lukhuti and Pattin, fall. Assyrian governor. Israelite or Israelite-inspired name. With the change of dynasty in Assyria, Yahu-Bindi takes the opportunity to declare himself king of Hamath and lead a rebellion. The rebellion is quickly suppressed, and large numbers of the city's population are deported to Samaria, which has recently been conquered by Assyria, where they become part of the later Samaritan people. The city itself is destroyed and Hamath is now a province of Assyria. Occupied Hamath is the target of an attack by Nabonidus of Babylonia. The city falls under the control of the Persian empire. The city becomes part of the Greek empire, and Hamath is later officially renamed Epiphania, probably in honour of Seleucid king Antiochus Epiphanes. The inhabitants take no notice and continue to use the old name.